I love sending flowers to friends and family, but I have been looking for a more ecofriendly option. I also have been on the search to send flowers more efficiently and cost effective, so I can send them more often. Introducing the Flowerling app. 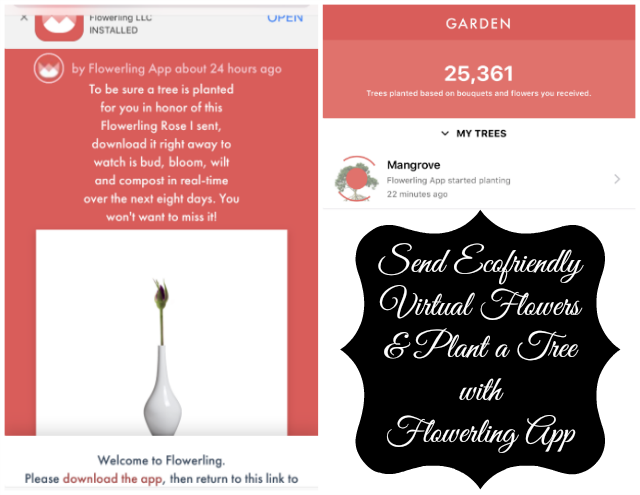 The Flowerling App is a new app that allows you to send and receive digital flower bouquets and single roses to anyone without breaking the bank or any of the environmental impacts associated with sending physical flowers. This is a zero-waste and socially conscious way of sending and receiving flowers. With more and more people concerned with the state of our planet, the Flowerling app allows you to enjoy sending flowers again because you are making a positive impact on the world around you. To get started, simply create an account. To log in, both password and email address are caps sensitive. To get going you will need to buy coins. 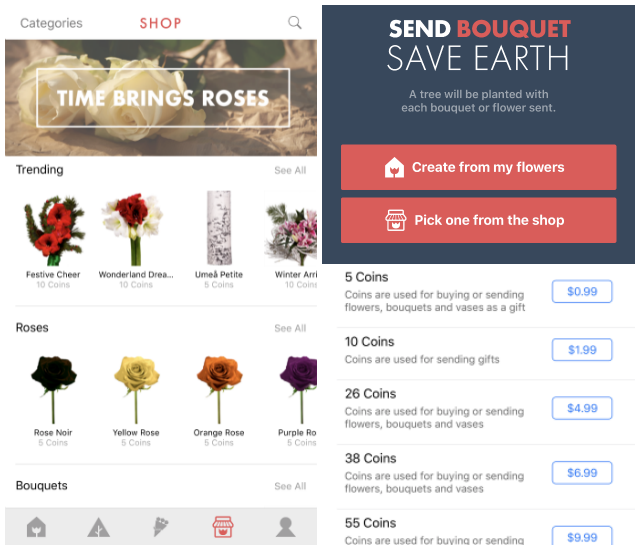 Coins are needed to purchase flowers in the app and are available in different amounts - 5 coins for $.99, 10 coins for $1.99, etc. Different flowers, vases, and bouquets cost different amounts of coins. For example a flower can cost 5 coins. Bouquets 6-10 and vases are also available for coins. Just like a real flower, you can also watch the virtual flowers you receive or purchase bloom. The lifespan of a virtual flower sent with Flowerling is 8 days. If you want your flower to last a little longer, just like in real life, you can water them or purchase plant food to add a few days to it’s lifespan. Flowerling also has a partnership with the Eden Reforestation Project. For every Flowerling sent, a real live Mangrove Tree is planted in Madagascar. The Flowerling App can be downloaded on the Apple App Store. A complimentary trial is available for a limited time as well. 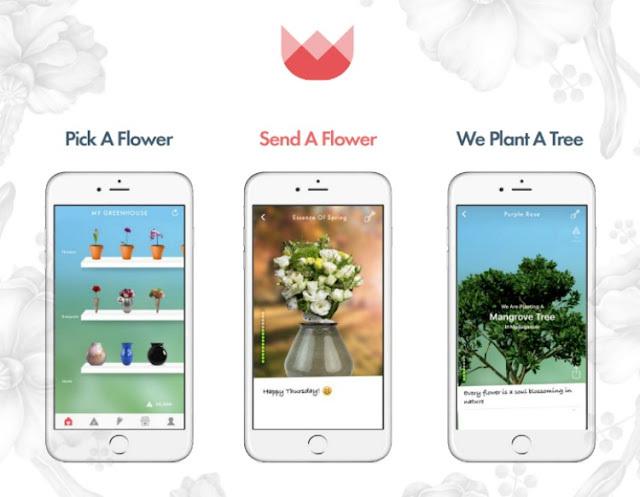 What do you think of the Flowerling app? 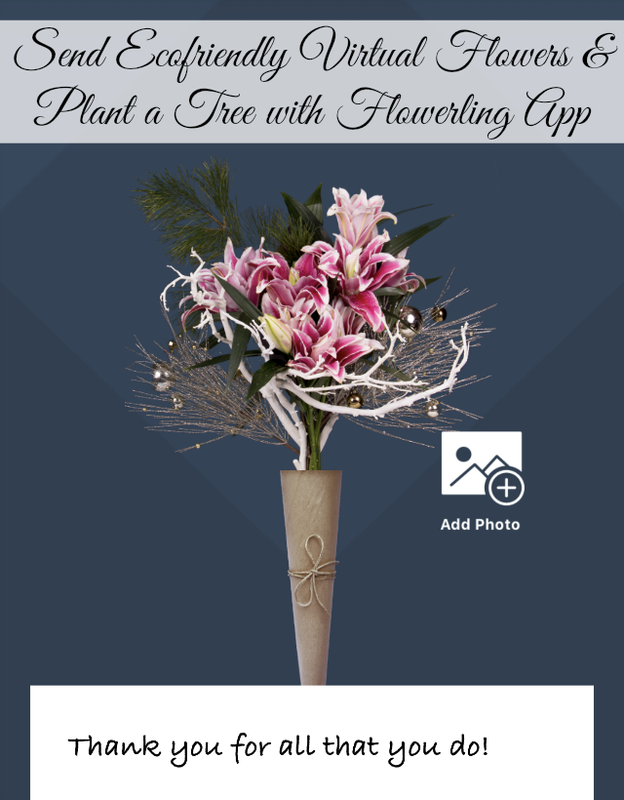 Are you looking for a more eco-friendly and cost effective way to send and receive flowers? Lol, that's not a bad idea. I can see people finding this convenient to use. Hi Tamra. Glad you like it. And right now you can try Flowerling for Free with our 3 Day/20 Flowerlings on us Free Trial. Enjoy and Happy Holidays. What great pink flowers! Looks like a useful app! Hi John. We like the pink flowers too. You can also take advantage of our Free Trial just be downloading the app and creating an account. 3 days or 20 Flowerlings on us. Enjoy and Happy Holidays. Hi Amber. Glad to hear you love it. So do we. And you can love it more right now by trying Flowerling for Free with our 3 day or 20 Flowerlings on us Free Trial. Enjoy and Happy Holidays. Thank you Diana for the great review. We are thrilled that you enjoy Flowerling and wish you a very Happy Holiday Season. I would send this to my best friend who I miss so much. Neat idea!